A new look for an old favourite: Lypsyl lip balm | Is This Mutton? I have been a devotee of Lypsyl since I was at school. This much loved lip balm has been moisturizing the nation's lips since 1891. But it hasn't always been easy to buy. It's had a chequered history, several different owners and a varying presence in the high street. Sometimes it was impossible to find, although nowadays it's much easier to source online. I'm pleased to see it has now been relaunched with a new range of seven delicately scented SPF balms. For my US readers I'm not sure what relation UK Lypsyl has to US Lypsyl: I see that the US product has entirely different packaging and varieties, claiming to date from 1905 and describing itself as "pure Swedish beeswax." 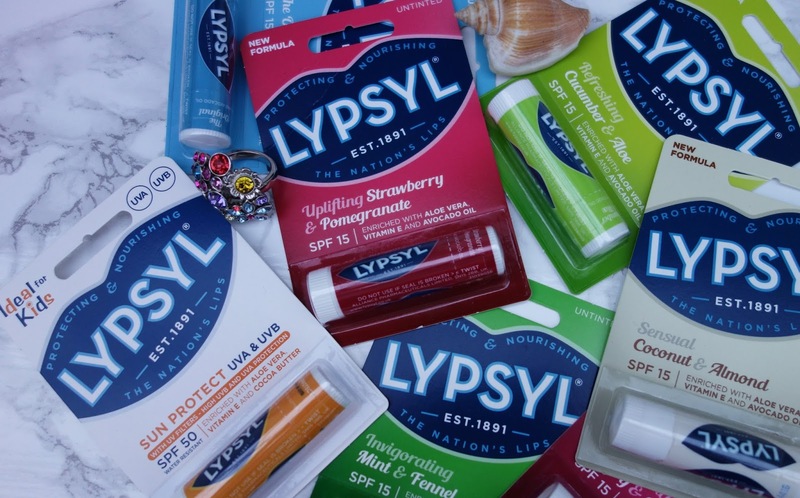 I recently reviewed several lip balms and Lypsyl (in the old original formula) performed just as well or even better as more expensive brands from Rodial and REN - here. How would the new formulation fare? SPF 50 with Vanilla and SPF15 The Original. They're all untinted. I have an "original original" from the bulk stash that I bought on Amazon, and I can see the ingredients have changed significantly. Lypsyl say they have added a rich, hydrating blend of natural shea and cocoa butters, avocado oil, beeswax, aloe vera and vitamin E. They claim that these proven high quality ingredients gently hydrate, soothe and smooth delicate lip skin. The new formulations are softer and more greasy on the lips. The new flavours are pleasant, subtle and not too "in your face." The wide choice of flavours and the low price should make Lypsyl popular all over again with teens, even if the packaging is a little hum drum compared to Eos. It lasted well and didn't leave a nasty bitty residue like some lip balms. For me, the big test was original old (pictured below) versus original new. Original old had a unique taste and scent, very distinctive and long-lasting. It was so strong that it effectively scented the breath. Unfortunately, the new Original has virtually no taste or smell. Like all the new formulations it does go on softer and gives good moisturizing and shine. But it's a big miss - for me - that the distinctive taste has disappeared. It's likely to disappoint quite a few of Lypsyl's customer base because the reviews on Amazon are passionate about the original. 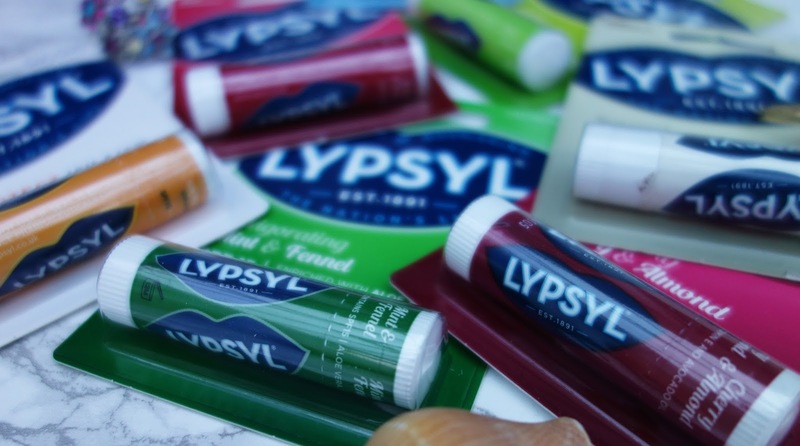 That said, it's great to see Lypsyl back in the game with their low cost lip balm. At £1.89 for SPF15 and £4.99 for SPF50, you can afford to have one in every bag. Visit the UK website where you can become a Lypsyl VIP. Disclosure: I was gifted the new range to review. Gah! U can't believe they've fiddled with original unscented Lyspsyl - why?? The taste and 'thick' formula made it unique. It stayed on and didn't make sore lips worse as so many lip balms do. I'm enjoying my freebie that I received. It's in my handbag coming in handy every now and then. So agree. I use the cherry Lipsyl. I also use the Born Lippy balm. I love them both so much that in the last year I've gradually stopped wearing lipsticks and just use a balm and lip pencil. I think it looks better as my lips age. I completely agree with Sam, the new lypsyl is no longer unique and the new formula makes my lips drier and actually splits and cracks them after a week of use. Can anyone recommend an alternative that is similar to the old formula? I am desperate to get rid of my dry sore lips that I haven't had for 20 years! Yes I am panicking, because I can't find the 'original' Getting to the end of my supply. Cleared out a local chemist in the summer, was asked what I wanted them for .Stupid question. I guess I'll have to try a light blue one. Will let you know what I think. The new one is dreadful, it doesn't work and is exactly like all the other so called lip balms. I am furious. Why does every single company try and change things all the time? Where can I get the old, dark blue ones from? Can anyone help please?